LEGO bricks have been an iconic toy for decades. I grew up playing with them and I know that my children will grow up playing with them as well. Head to a local toy store and you’ll still see the shelves lined with bricks. My favorite sets growing up were from the Star Wars and Rock Raiders themes. I vividly remember constructing and playing with my X-Wing and Millennium Falcon sets. The LEGO Group is still around and is bigger than ever. Although almost 75 years old, the LEGO Group has only been using Lean in their manufacturing processes since 2008. For LEGO, this is a perfect fit. Lean strives to increase quality and eliminate waste, while LEGO is all about quality. With the company motto stating, “Only the best is good enough,” using continuous improvement techniques can only improve their processes and push them toward continually being the best. With LEGO, quality and standardization are important - bricks have to fit in with each other, no matter how old. Bricks from the early 1990’s will still click into the bricks that you can buy at the store today! Making sure that all of the factories produce the same quality is very important. LEGO bricks go through vigorous stress testing in order to make sure that they are fit for play and will last a lifetime. The LEGO Group has manufacturing facilities all over the globe, with factories in Mexico, China, Czech Republic, and headquarters in Billund, Denmark, which can create issues in communication in improvement from factory to factory. Lean also means to eliminate waste. LEGO is working to not only remove waste in the workspace, but in their environmental efforts as well. The LEGO Group puts a huge emphasis on reducing their carbon emissions and on sourcing and using materials more responsibly. Additionally, the LEGO Group almost went out of business in the mid-2000s because of too much waste in their manufacturing and planning processes. 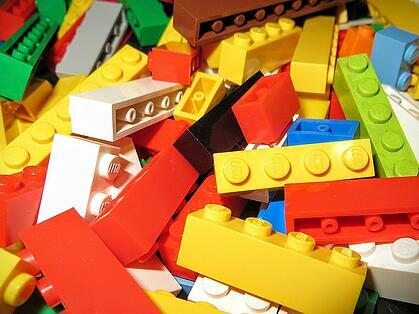 The number of different parts that LEGO manufactured jumped from 6,000 to over 12,000. After cutting back and slowly increasing in modern times, they’re still below 12,000 parts today. They even had over 11,000 different suppliers! These wasteful factors and more almost contributed to their bankruptcy. One way to achieve their motto of “Only the best is good enough” would be to improve their lean techniques. The best way to do that is with continuous improvement software. Cloud-based continuous improvement software is able to share improvements all over the globe, thus connecting those diverse factories. From China to Denmark and everywhere in-between, improvements in factories can be captured and shared to make sure that nothing slips through the cracks. Continuous improvement software can also log environmental improvements and track the impact that they have. The LEGO Group has a huge focus on their carbon footprint and giving frontline employees the ability to suggest improvements that could have an environmental impact could prove to make a huge difference, as little improvements add up over time. Giving every employee the ability to log an improvement from anywhere, whether that is to make the best better or to reduce environmental impact, can make a huge difference and help to make sure that the LEGO Group will still be around so that my children can build and enjoy sets just like I did.